It wasn’t long after our arrival in Galway that a storm passed through. As sometimes happens, the power went out, and in the darkness Martha and I heard a knock on the door. There, with lit kerosene lamp in hand, was our neighbor, Everett Hartman. He had brought the lamp over to us for our use. I will never forget his thoughtfulness. The first winter here it got remarkably warm in February and being tired of the cold, I asked him if winter was about over. Ev just laughed. We had such good times of conversation when the weather would break and we’d just be standing out in the yard talking and being neighborly. In addition to sayings, Ev loved poetry. One time he quoted a whimsical poem to me he had learned when he was young. I couldn’t believe how long it was. Everett Hartman was of German descent. He grew up in Schenectady. He’d tell me tales of horse drawn wagons and working beside his father as a carpenter. He served his country during the Korean War, building airstrips in the service. After his military tour of duty, he married a beautiful Italian girl, Connie. Together they had two boys: Bill and Bob, and a daughter, Lisa. We came to Galway when Lisa, their youngest child, was in her last years of Galway High School. What a family! The children all adore their parents. It is a close knit family. During the course of his life, Ev was a policeman and afterward worked at GE. Upon retirement, he used his woodworking skills to make beautiful wooden pictures. The craft is called marquetry. 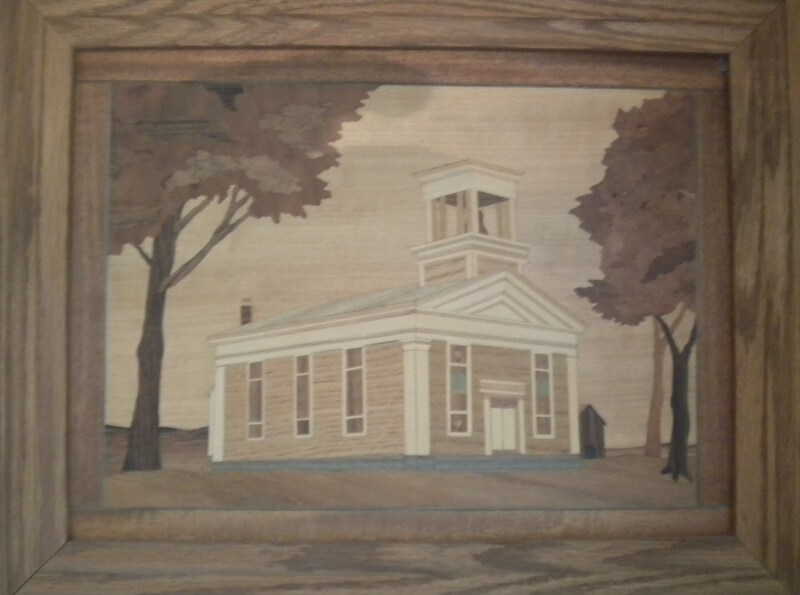 Hanging in my study is a marquetry picture of the Bible Baptist Church that he made in 1993. Ev was known community wide for coaching baseball. I asked him if he played ball in high school. He said no! He had not played ball. 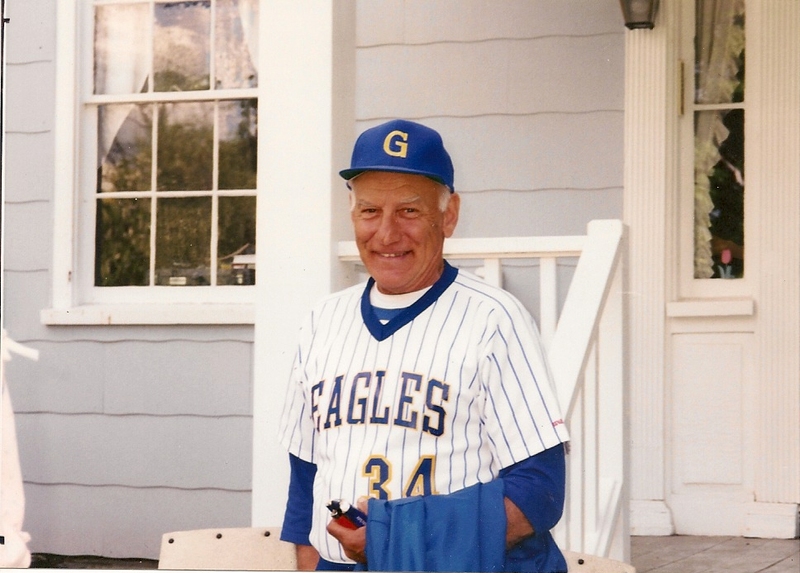 I asked, “How did you become a coach?” He responded that one day while painting his house, a person who was coaching his son’s baseball team said Galway was going to have to forfeit the game because it did not have an umpire. When asked if he would umpire, Ev said that he had never umpired in his life. Being talked into the task, Ev umpired that day and he loved it so much that over the years he went from being an umpire to being a coach. Hundreds of boys in Galway can be grateful for the day Ev was asked to leave his painting for baseball. As her grandparents lived in Florida and Pennsylvania, one of our daughters, Heather, the tomboy of our girls, enjoyed hanging out with Mr. Hartman when he was working in the yard. He became like a grandfather to her. I’ll never forget the day when Heather was chasing her older sister, Joy with a worm or bug of some sort from Mr. Hartman’s garden. I can still hear the laughter, and the screaming. O the joys of little children! Another great memory was made the day I officiated at the wedding of Ev and Connie’s son, Bill. The wedding took place at dawn on Sacandaga Lake in a large paddle-wheel boat. We set out while it was still dark. As the sun was rising the vows were exchanged. Then the boat scurried back to the dock to drop me off as I had to go to work in the Post Office. I am also a letter carrier in Schenectady. I went up to the bridge and changed out of my suit and tie and put on my postal uniform. I felt like Clark Kent running into a telephone booth only to emerge as Superman. It was definitely a funny moment! Everyone laughed at the transformation. After dropping me off, the boat went back out on the lake. Everett has survived many hardships in his life: a heart attack, cancer, and a car accident that nearly took Connie and his life on Sacandaga Road south of Route 67. It wasn’t long after the car accident that the Hartmans sold their house and in moved a delightful young couple, Mark and Kelly Boudreau. The Hartmans moved to Greens Corners Road. Their children, now all married, live in the area. Ev is now at Maplewood Manor and is facing one more challenge, Parkinson’s disease. He has got to be one of the most memorable persons that I’ve ever known. I’m glad this little booklet is now introducing you to one of Galway’s finest.